Located in the heart of Phoenix, the leading health professionals at Back To Life Chiropractic are dedicated to helping you accomplish your wellness goals—combining skill and expertise that spans the entire chiropractic wellness spectrum. Dr. John Koc is committed to bringing you better health and a better way of life by teaching and practicing the true principles of chiropractic wellness care. Patients seeking treatment at Back To Life Chiropractic with Dr. John Koc are assured of receiving only the finest quality care through the use of modern chiropractic equipment and technology. Dr. John Koc and the staff have a genuine concern for your well-being! Dr. John Koc has been improving the health of his patients since 2000 when he began practicing in Phoenix, AZ. 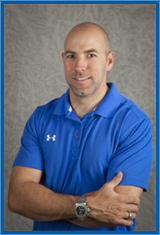 As a chiropractor with experience, he is committed to promoting the health and well-being of his practice members and their families. Dr. Koc uses a “whole person approach” when taking care of his practice members. By combining the very best hands-on-technique, state of the art exam and physiotherapy procedures, and providing the best natural vitamins and whole food concepts available today, Dr. Koc is able to help his practice members accelerate and/or maintain their journey to better health.